Turn AIFF to MP4 video files online in a few seconds! 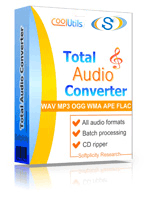 Run a AIFF to MP4 Online Converter or buy a batch Tool for quick use! Description AIFF is an audio format with CD-quality sounding. It utilizes lossless compression similar to WAV. The .aiff files are big in size as any other lossless format. It is usually used for recording CD-disks. AIFF is based on IFF format created by Electronic Arts. The standard AIFF file is 16bit, 44.1 kHz frequency, features two stereo sound channels. One minute of such sound in AIFF has 10 MB size. AIFF files can have both .aiff and .aif extensions. Compressed variant has .aifc type.